An accomplished chef, a proud New Yorker and a passionate foodie, celebrity chef Mario Batali shared with us his epicurean dreams like a true Italian signore. 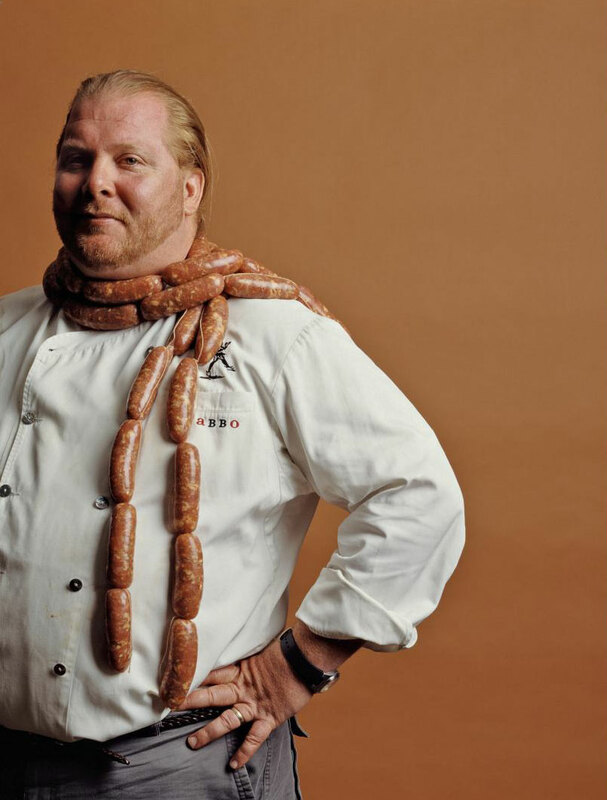 He started his culinary career from scratch, Mario Batali paved his way brilliantly to the top. He began as a dishwasher then moving up to become a kitchen assistant back in England under Marco Pierre White’s leadership. He then moved to France to further hone his craft, until he was confident enough to move back to the US, and become sous chef for Four Seasons hotels. His love for cooking was inspired by his beloved grandmother, who instilled in him since his youth, a love for Italian cuisine. In search for the truest form of the cuisine, he then decided to cast away his career in the US just to become an apprentice again in a very small town in Italy. There, he committed himself to learn the cuisine in its simplest form – honest and traditional. His move proved to be strategic. After some time learning the true Italian way of cooking, he returned to finally open his flagship restaurant ‘Babbo Ristorante e Enoteca’ in New York. Babbo received many accolades and he rose to prominence in an instant with his Italian wizardry. Since then, together with his faithful business partner Joe Bastianich, popularly known as the harsh US MasterChef judge, they solidified their style of Italian cuisine with many notable openings in New York, Los Angeles, and Las Vegas. It’s a fast ride down the highway for Mario from then on. Not only did he become known as chef or restaurateur, he also became a media personality, starring in many TV shows, documentaries, and even featured in a movie and a computer game. Despite some controversies throughout his career, one can sense right away from his immense confidence and knowledge, his natural abilities of public speaking, and his quick wits that attract everyone to him. Not to mention of course, his eccentric style of wearing shorts and kitchen clogs anywhere he goes! He’s simply the star of the show anywhere. 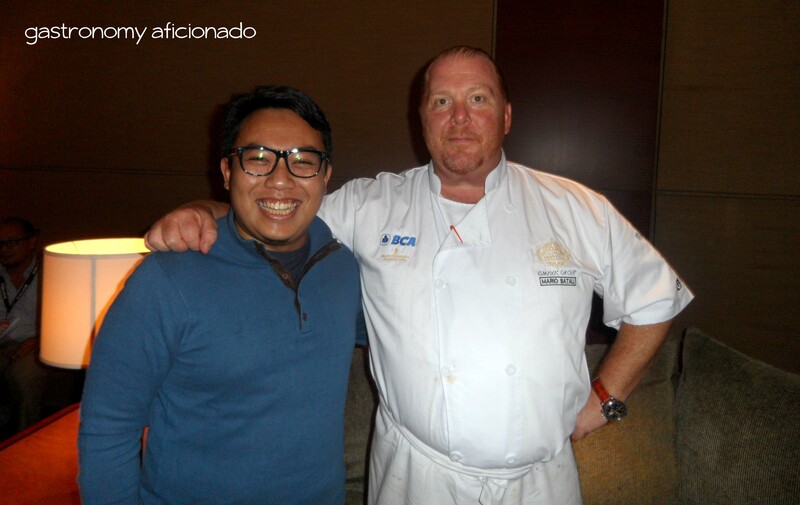 I was lucky enough to be able to converse with him a bit with during his visit for Jakarta Culinary Festival 2012. He spoke a mile a minute and we covered so many topics in a short period of time. Asking him about what he and his fellow New Yorkers are eating now: ‘The food of Southeast Asia is exactly that!’, he exclaimed after explaining that lately Asian cuisine drives New Yorkers into frenzy for its sharp flavors and authenticity. ‘People no longer want to spend four hours in their uncomfortable business clothes eating good food but paying too much’, said Mario specifically noting the waning age of super fancy fine-dining restaurants and on the other side admired how Asians in West nowadays successfully reinterpreting their cuisines and gaining immense popularity. That is precisely what he had prophesied since the very beginning. His vision to introduce the traditional Italian food has now become so in line with the current trends. At this age, everybody wants it simple and affordable but still delicious, everybody wants the camaraderie but they’re also not hesitant to share the fun even to strangers. With this, the West sets its eyes on Asia and that’s also why Mario decided to expand his business overseas, and have set their targets on Singapore and Hong Kong. My trip recent trip to Marina Bay Sands alongside fellow journalists to visit his first restaurant in Asia was a pleasant one. 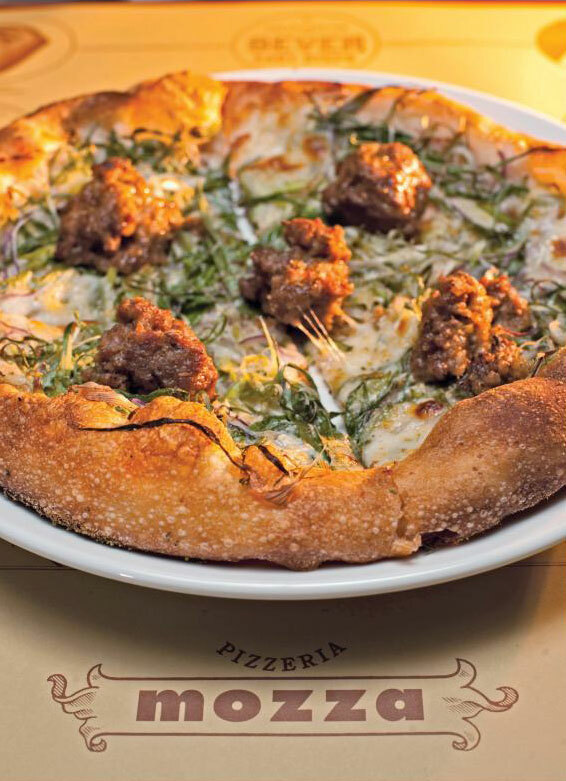 The Osteria and Pizzeria Mozza presented us with dishes equal to what Mario had been conceptualizing so far – hearty, sumptuous, and rustic. The fried potatoes with ceci and herbs was a fine introduction – simple, crisp, and rich, meanwhile another creative opener comprised of Little Gem lettuce, Gorgonzola cheese, red onions and dates was just irresistible. The main dishes were of course, pizza! The Pizzeria Mozza’s head chef Ms Karla Mendoza devised us with probably the best ever margherita pizza ever and a delicious mushroom pizza. To end the lovely lunch, the classic cannoli di ricotta was really fulfilling. During that lunch, we were bounded in a friendly, warm atmosphere as if we’re all old friends but in truth we might not be able to see each other again everyday even when we’re back in Jakarta. The beautiful dishes simply glued us all! Business-wise, the reason behind Mario’s existence in Asia was because a guy named Zack Allen, his visionary culinary director, whom his wisdom and greatness are followed by Mario without question. While Hong Kong and Singapore are among the most conducive cities in Asia to start a business especially for Americans, Mario admitted that his recent visit to Jakarta was also an enlightening experience to one day seek the possibility of introducing himself deeper here. During the session, we were also talking about his dream culinary destination. ‘I like places that not too many Americans have been where the food is traditional, thoughtful, and speak of the soil that it grows from’, he said. But much to his surprise, his first time in Jakarta was colored by an important experience of savoring Indonesian cuisine in a way that’s complicated, complex, and poetic, which was very much different than the one he had tasted back home. He further described his dream culinary destination, ‘For me I’m not as necessarily interested in visiting three-star Michelin restaurants. I’m more interested in spending three weeks in Bhutan and tasting the local food and seeing the way people appreciate and approach their sensibility and spirituality in everything that they do. That for me is more interesting’. The way he described his favorite culinary destination was also no less poetic. He simply answered, ‘The Amalfi coast. The food, the people, the accessibility, and the water are just perfect. I just like being on a boat, I like eating linguine with clams, and I like eating scampi. But anyway, I’d be very happy to go back to Hong Kong any day and now, Jakarta’.